It doesn’t matter when you are a tech giant like Google or Apple or a budding entrepreneur who is just starting out with a new idea or product, branding is extremely important for the success of every business. The problem is, startups have to work on a tight budget which can be a problem if you want premium branding services such as a professional logo. In this post we list our top 5 logo makers and design tools. Tailor Brands is not just an affordable logo maker that gets the job done, it’s actually our #1 Online Logo Maker. This is because unlike other common logo maker software, it’s based on a proprietary Artificial Intelligence algorithm that’s capable of creating highly refined and professional-looking company logos for different types of businesses. Although Tailor Brands makes use of quite an advanced technology, you don’t have to be tech-savvy or even have prior knowledge about designing to use its services. 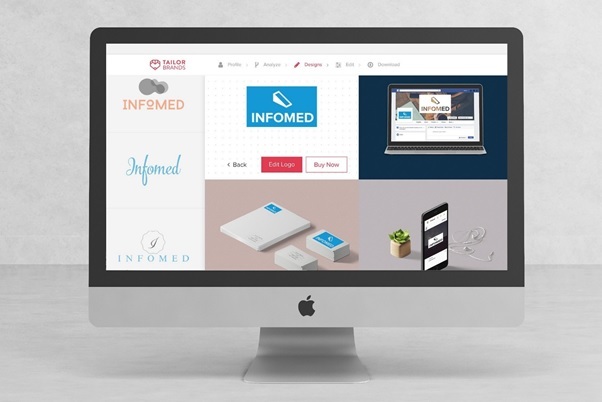 All you have to do give a few details about your company such as the industry it belongs to and what kind of services it offers, your design-related preferences (fonts, colors, etc. that you like), and it will create a few carefully chosen designs that meet your requirements. You can then pick one you like the most and download it in a format of your preference. Want to create company logo quickly without doing a lot of work for it? If your answer is “yes”, then Flaming Text Logo Maker could be just the thing you are looking for. 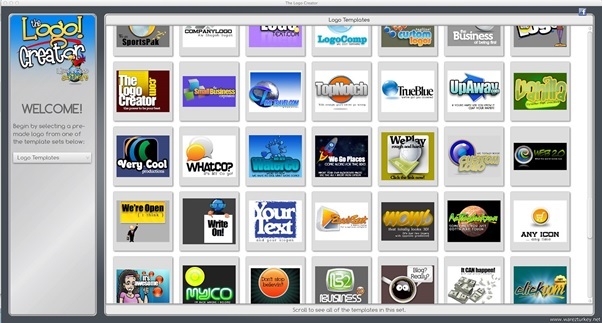 • You start by browsing through a list of pre-rendered text-based logo designs and select the one you find suitable. There are roughly 120+ options to pick from. • Once you have picked a template, you can enter the name of your brand which becomes the logo itself. You can also change the size of this text on the logo if you want. • Make any other changes if you like, including text color outline color, shadow adjustments, etc. • That’s it. You can now download the logo and start using it wherever you want! Although Flaming Text is a simple logo generator that anyone can use for free, you shouldn’t expect much. The designs are decent at best and there aren’t many options for customization. Although not “free-to-use”, Cavna is a good design software that makes logo creation easy and simple. It comes with many features you will find in other professional design software such as Adobe Photoshop. However, using these features isn’t too challenging if you have some basic graphics designing experience. 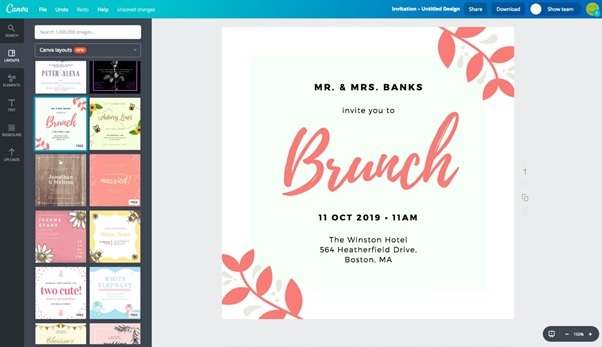 Canva offers many useful features that help in logo designing including a library of stock images which you can use for your logo, options for stylized text, pre-built backgrounds, live orientation guides for help as you move things around, etc. If you are not satisfied with the available options for the images, you can also download a few yourself from websites that offer royalty-free images and upload to your Canva account to use them in your designs. Makr is another major online logo maker service that you can use for all your branding needs. It offers a variety of templates to choose from including business, wedding, personal branding, etc. and even many design options for custom t-shirts, etc. You can use any template you like and modify it by changing the icons, text, or colors, before downloading the final product to use it for your website. The only thing that may irk you is the pricing, which is around $35 for complete branding service that includes 1 transparent PNG file for web, 1 vector PDF for unlimited size printing, and 2 solid background JPGs for social media. Although, for $7 you can download a digital logo, it won’t help you much with social media branding, business cards, and customization for seasonal logos, etc. Although not as popular as the other options covered above, Laughing Bird is still a decent logo maker that you can try. However, a big difference that you will find in it in comparison to most logo designers is that it’s not an online service but rather an actual software that you have to download and install on your computer before you can use it. Some of the top features of Laughing Bird software include a simple and clear interface, mild impact on system performance, a help file that can come in handy when using the product for the first time, etc. It’s not common to find both quality and affordability in a service. However, if you look harder, then you can actually find many good examples. As far as branding is concerned, you are sure to be pleased with the low-cost yet good quality logo design solutions shared above!